The FCC posted pictures of a gold iPhone X. DOes this mean it's coming soon? The images were submitted to the government agency in last fall, but only recently appeared on its site. It’s not clear if this is a sign that a release in this color is imminent. All wireless devices need approval from the Federal Communications Commission, and part of getting this imprimatur is submitting pictures. It’s these that give us our first look at the gold iPhone X. Unconfirmed reports indicate that Apple intended to release a gold version of the iPhone X in November of last year. However, production problems forced the company to hold it back. Gold iPhone X means more sales? Apple introduced a version of the iPhone X with a red casing just a few days ago. It’s possible the company plans to add a gold version to its lineup too. This follows the theory that more colors might spur sales. The iPhone X hasn’t been a run-away success. The $999 price is usually pegged as the cause of tepid demand. But Apple reportedly likes it enough that it’s going to base it’s entire 2018 smartphone line on this design. 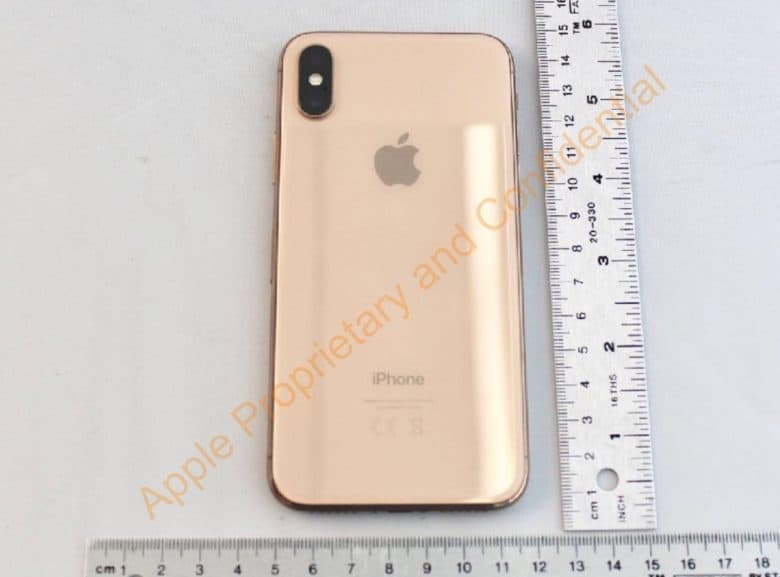 Pictures of the iPhone X in ‘Blush Gold’ appeared online last month, along with the claim that this device is already in production. However, well-respected KGI Securities analyst Ming Chi Kuo said earlier this month that Apple won’t launch a gold version until this fall.